The current mantra in research and policy about smart cities is that citizen perspectives have often been ignored in smart city research, but that for smart technologies and big data to indeed improve city management, economic and environmental resilience and the quality of urban life, it is imperative to include citizen perspectives and interests in all their dimensions in smart city and big data applications. It is, however, often unclear who are meant with these ‘citizens’, what the purpose of their engagement is, and what qualifies as ‘good’ engagement. 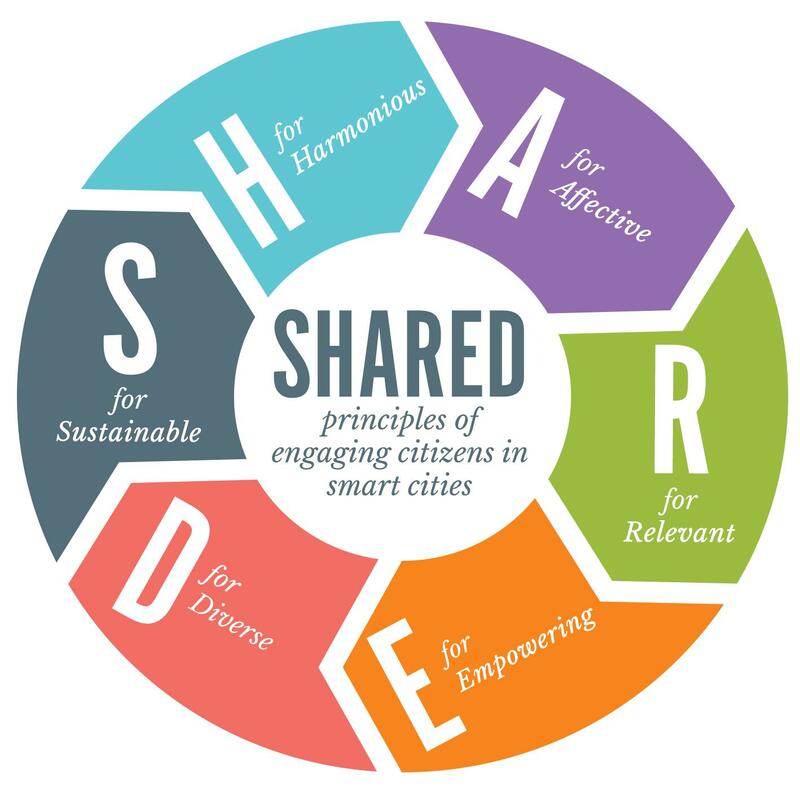 The SHARED principles, as coined by the Centre for BOLD Cities' academic director Liesbet van Zoonen, may be the beginning of thinking about criteria that one may want to consider when designing and evaluating citizen engagement. Citizen engagement needs to be invited and organised in a way that it will last longer than just the launch of a project, or the development of a programme. Citizen engagement needs to be organised in ways that are inclusive and do not contradict existing legislation, social policy and/or standard norms of good citizenship and civil behaviour. Citizen engagement needs to include acknowledgement of and respect for different emotional investments and concerns with respect to technology and data. Citizen engagement needs to engage those people who are directly affected by and involved with smart city developments and projects. Citizen engagement needs to be aimed at providing people with a better understanding what is going on, the intellectual and practical tools to form an opinion and assessment of it, and possibly, but not necessarily, the technical tools to participate in it. Citizen engagement needs to acknowledge and accommodate the various dimensions of diversity in cities, including gender, ethnicity, class, disability, sexuality and religion.